Townes has long claimed he’ll one day be The First Good Pirate to Sail the Seven Seas. Six months or so ago I was pondering how a landlocked pirate might learn the necessary navigational skills, and more importantly ever find buried treasure. Obvious prerequisites for anyone interested in entering the field of Piracy. 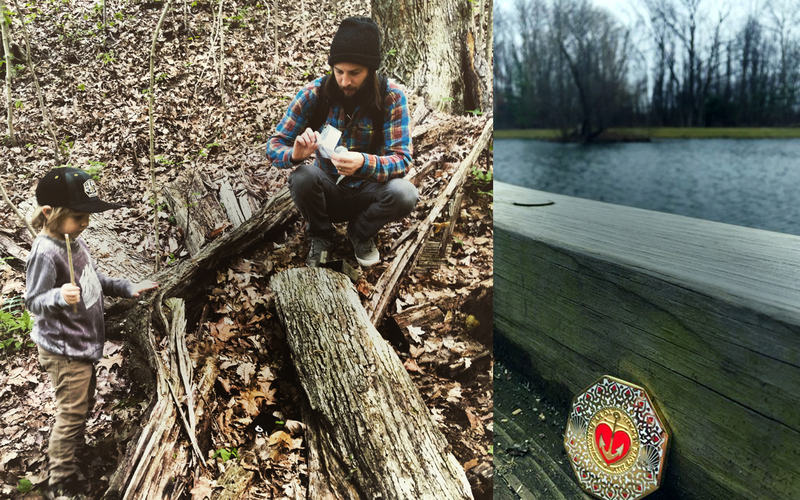 A vague knowledge of some quirky hobby I’d heard of at some time or another led to downloading an app and in short order he and I were on our way to tracking down our first hidden treasure. X didn’t mark the spot, but N 39° 38.964 W 084° 11.077 did. And we found our treasure chest. 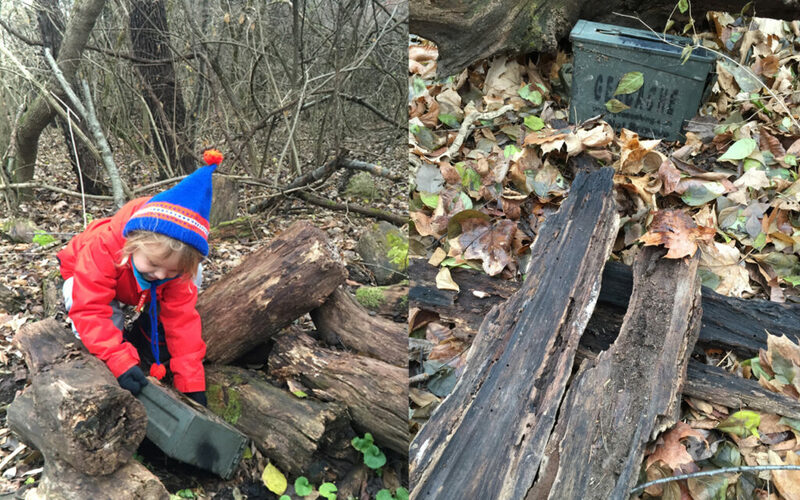 It was in the form of a .50 cal ammo can and it was filled with treasure and a log book. 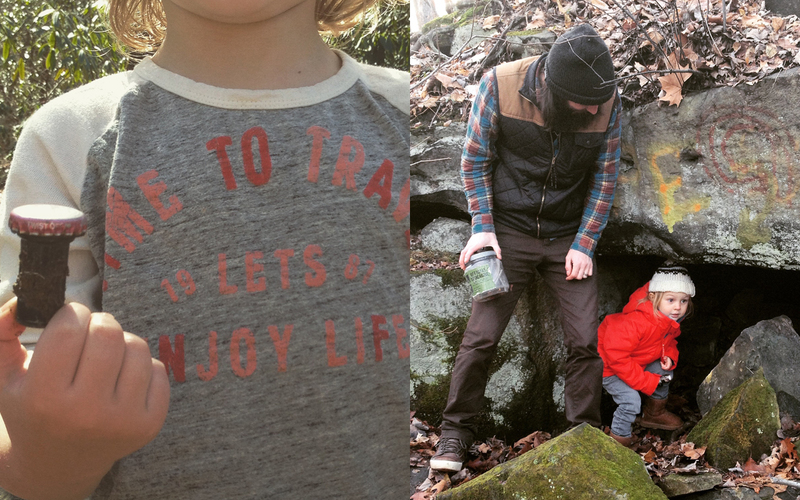 And so we entered the world of geocaching. We’re by no means expert treasure hunters but have to date uncovered 115 geocaches in seven states. More importantly Townes is learning to follow a compass and to understand cardinal directions. And is developing a sense for picking up a trail, noticing things that seem unnatural or out of place, and has had countless opportunities to identify and avoid potential woodland dangers ranging from poison ivy to dilapidated barbed wire fencing. In earnest, it’s a means to a never ending end. It’s an opportunity to send my son out to find hidden treasure, all the while learning skills that will be to his benefit throughout his life. He has learned to recognize a squirrel nest and to identify common animal track. Of course he could learn these and countless other skills just by spending time out in the woods, and he does. We do. 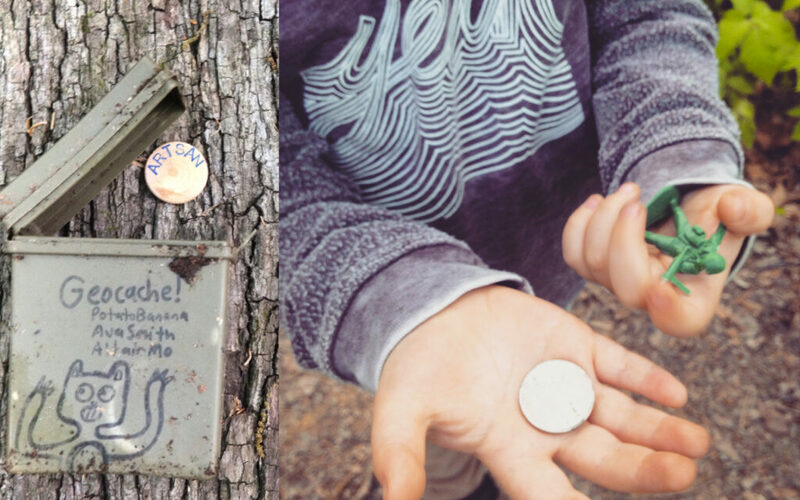 Geocaching is just another means to that end, and it’s treasure hunting.